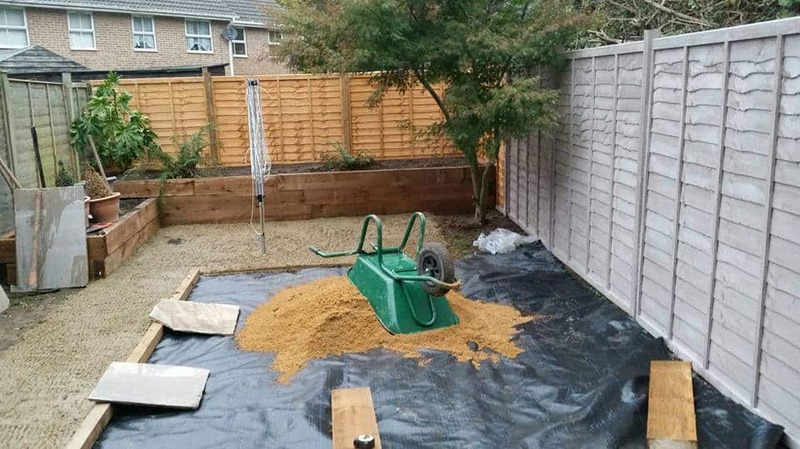 Our latest landscaping project is finished. 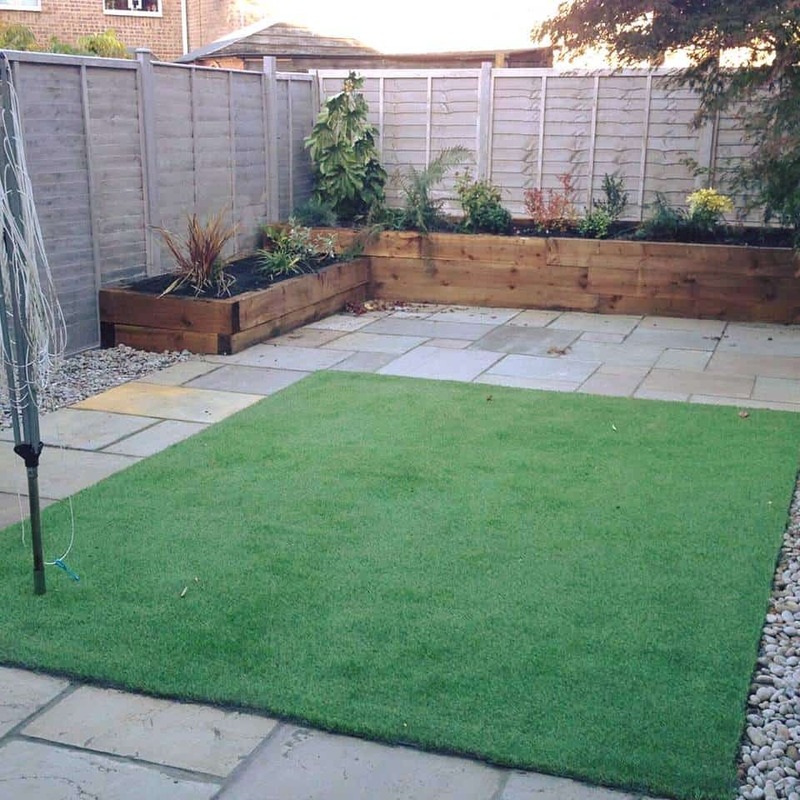 Aureum is a great low maintenance, contemporary garden featuring natural sandstone paving, raised sleeper bed and an artificial lawn. 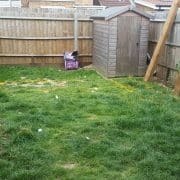 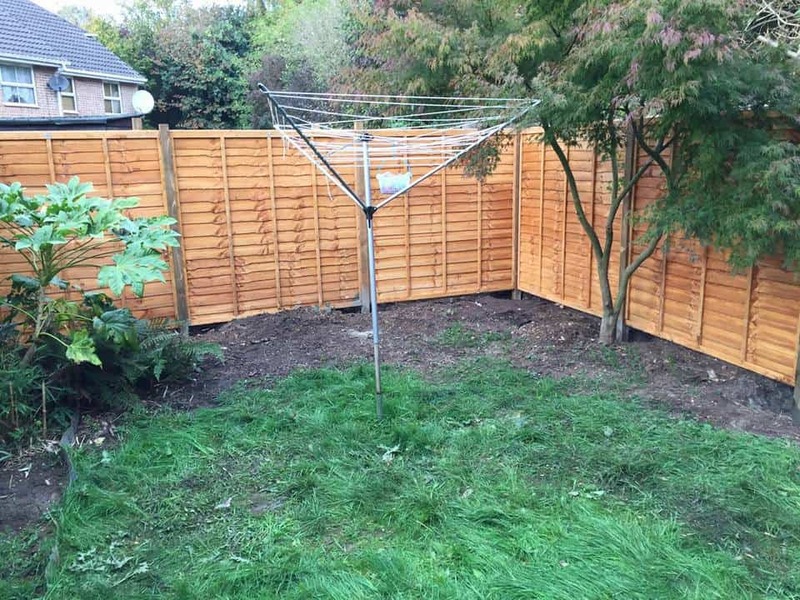 When we first visited the garden we decided the first job was a general tidy before creating a new garden fence. 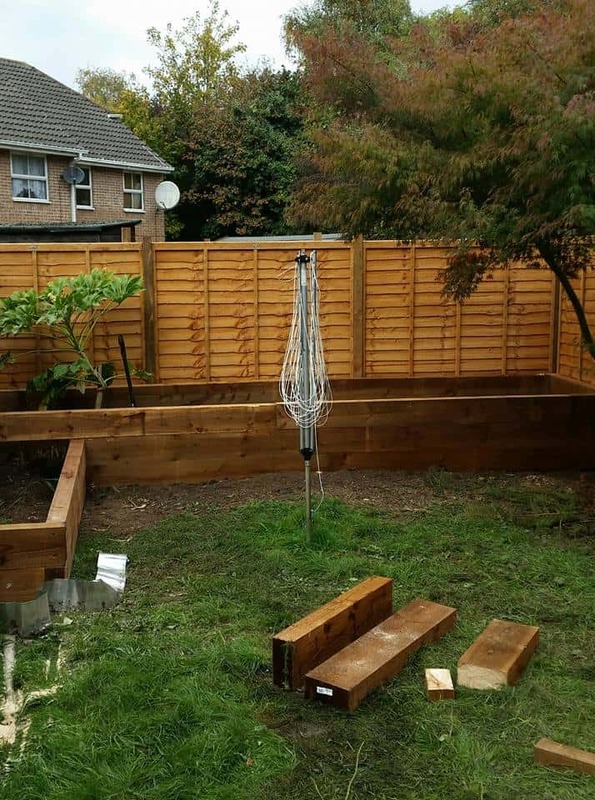 The next step in this garden redesign project was to create some timber bound, raised flower beds. 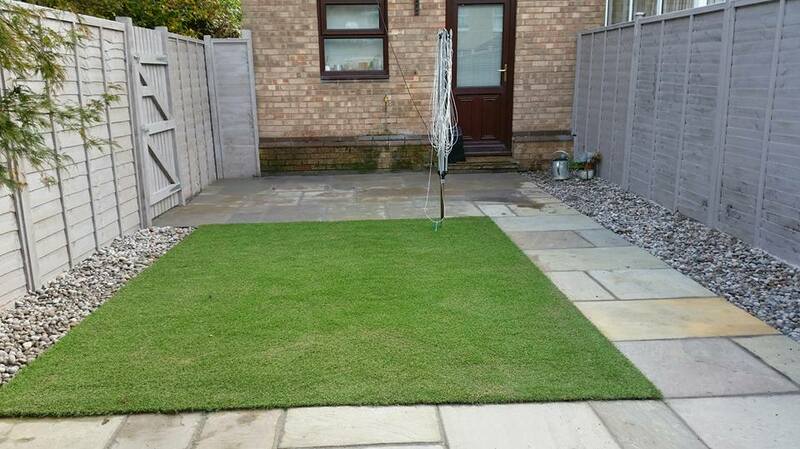 Once this was completed we then began work on the paving and artificial lawn area. 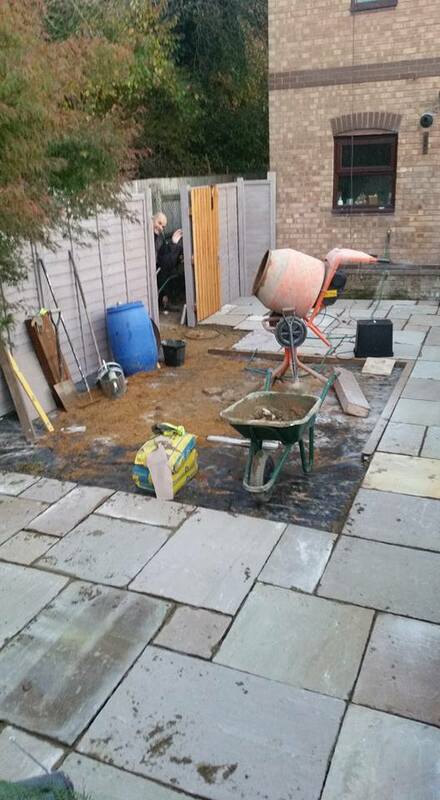 Can you spot John giving us a cheeky little wave there… Once we have completed the paving we were able to lay the artificial lawn base and finally the fake grass itself. 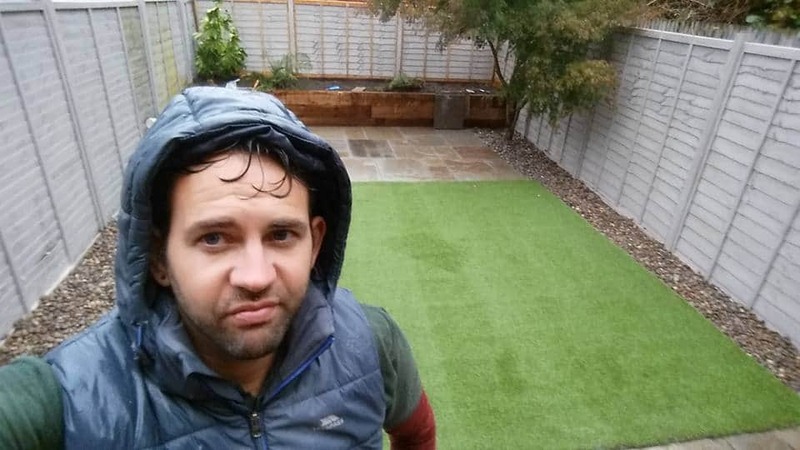 However when you are looking to complete garden landscaping, certain jobs can only be done in dry weather, and as you can see from Rob’s face below, rain did hamper us somewhat on this garden project! 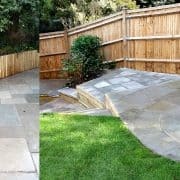 Still once the weather was better we were able to put the finishing touches to this project including painting the fences in Cuprinol Garden Shades in Forest Mushroom colour. 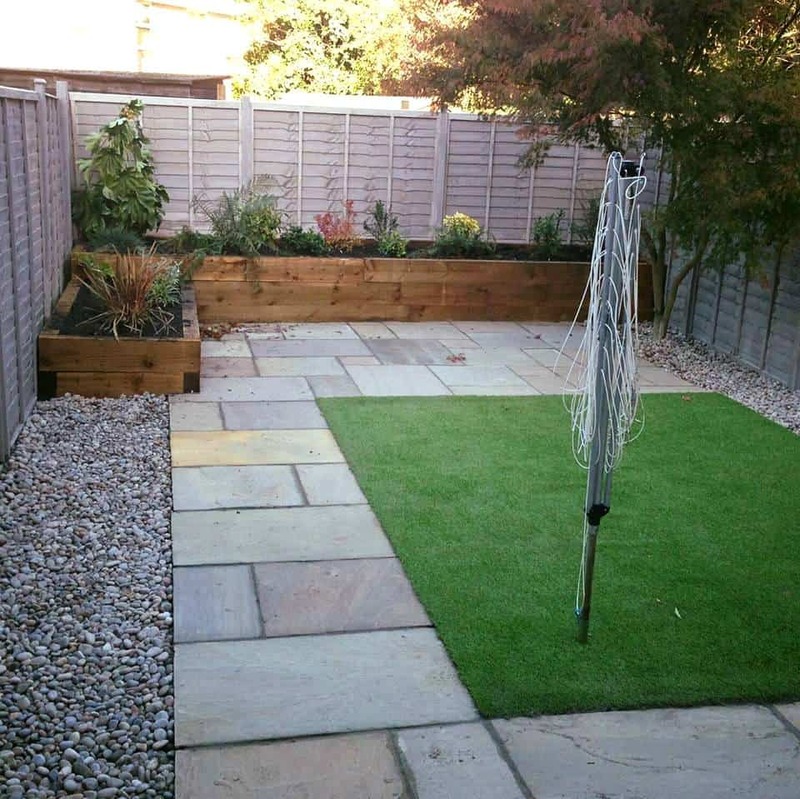 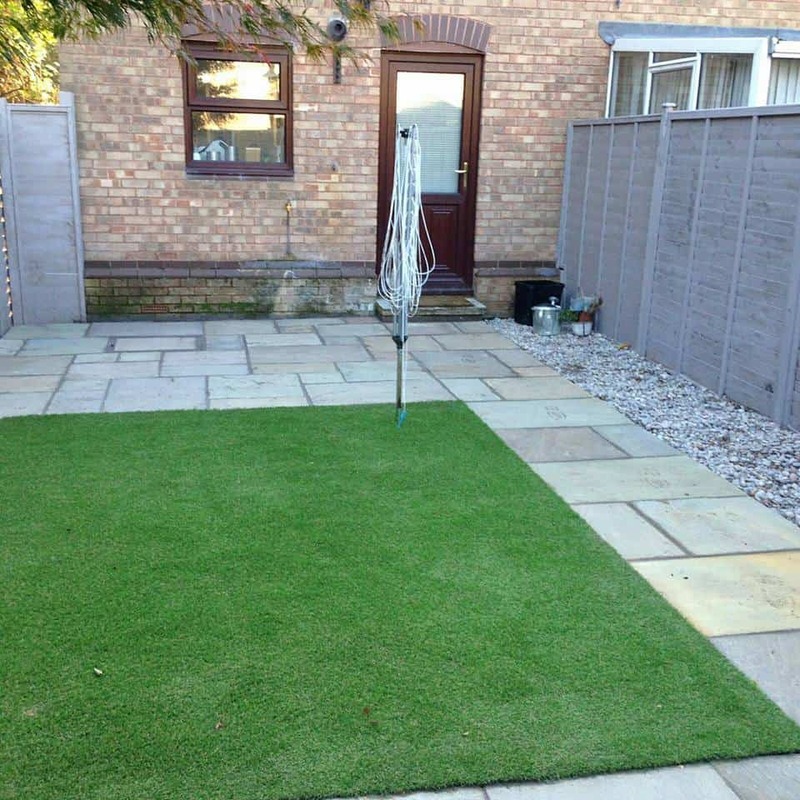 The finished design features raised sleeper beds, sandstone paving, artificial lawn and decorative stone borders. 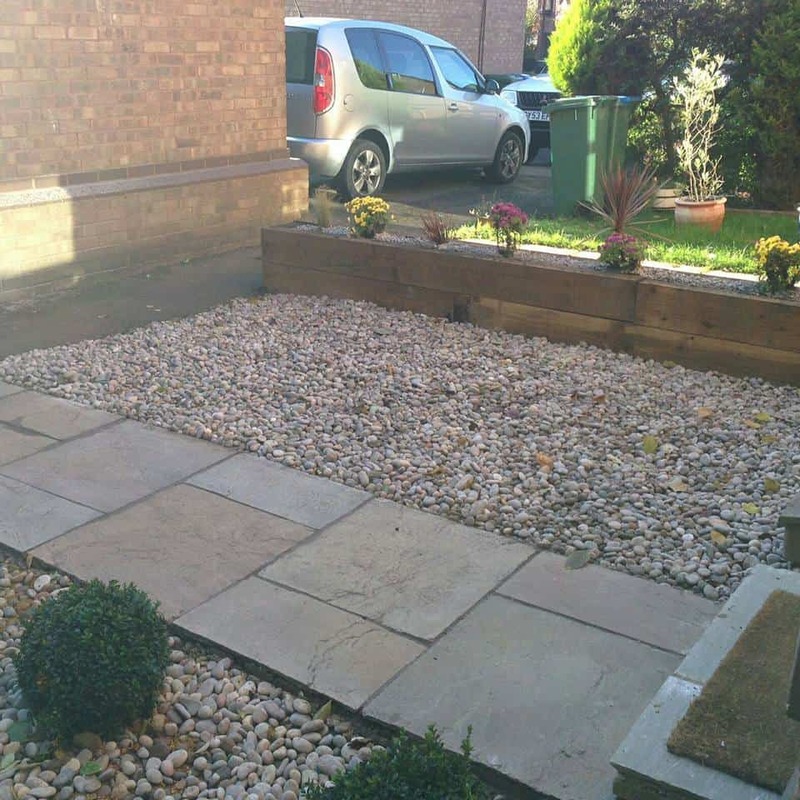 Not to neglect the front of house, we also tidied this area up a bit with new raised planter, stone path and decorative stones. 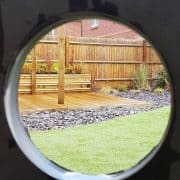 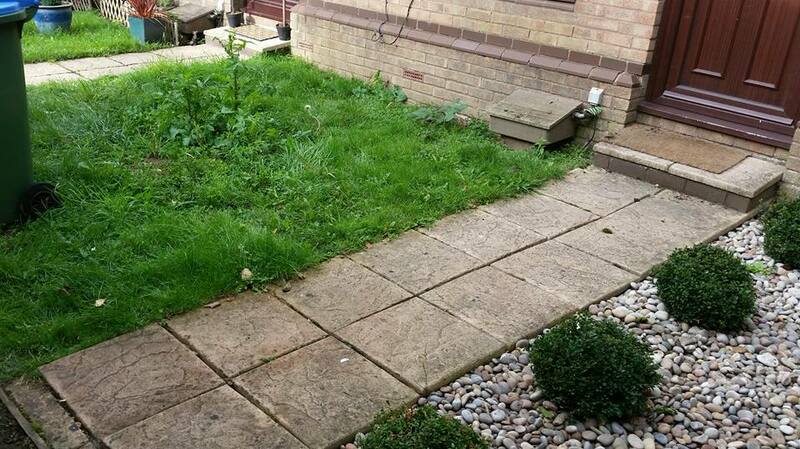 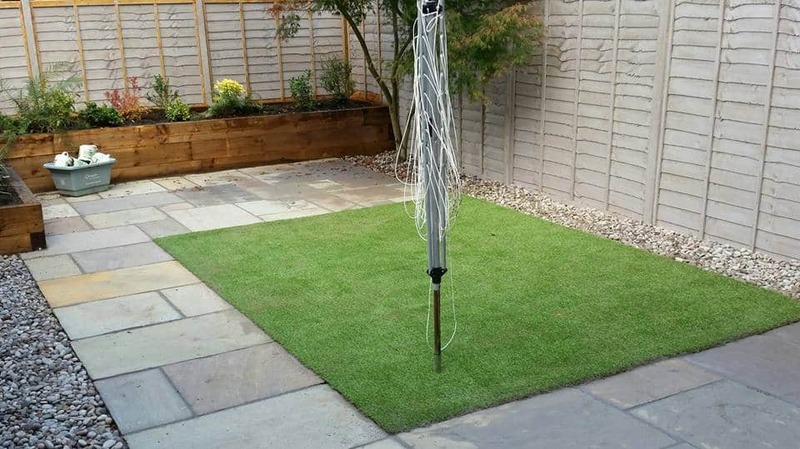 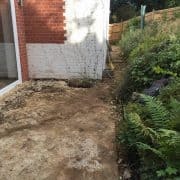 If you are thinking of a garden redesign or investigating low maintenance garden design then please don’t hesitate to contact us to talk about what we can do for your garden!